Admission to our 2019 Halloween Spooktacluar Weekends. 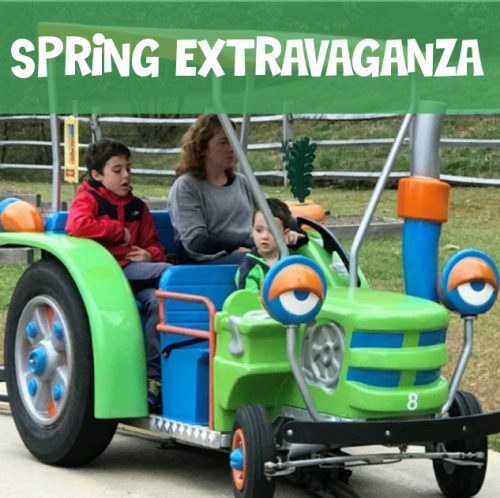 5 “Sunday Funday” passes for $10 off the regular priced admission for use any Sunday in 2019 to give to family and friends. 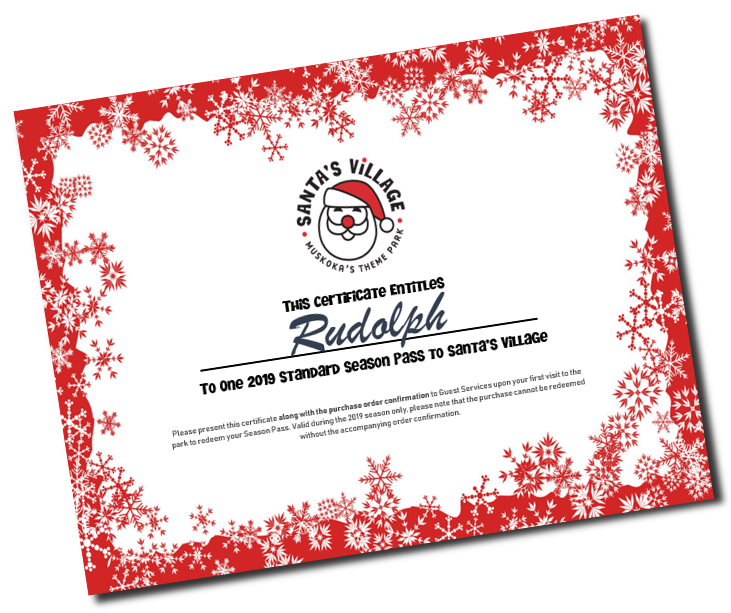 15% Discount on all food, beverage, and merchandise in Santa’s Village. Giving a Season Pass as a gift? 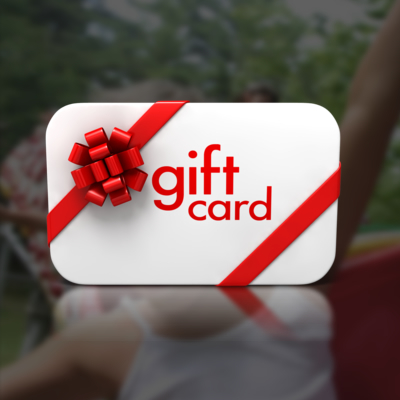 After you complete your purchase you will be given the option to download a Gift Certificate PDF file. 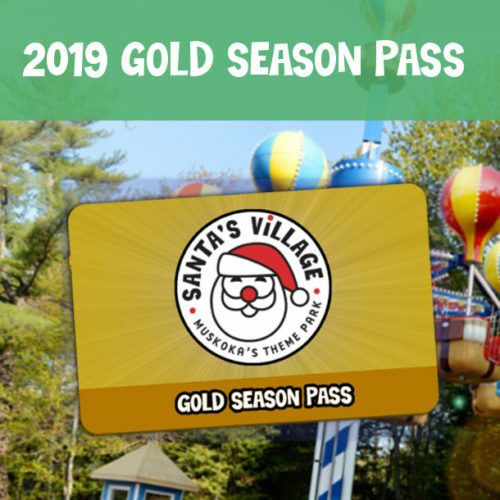 Season Pass Gift Certificates are no longer mailed out. Simply download the file, customize it with the recipients name and attach it to your order confirmation. *Please note that purchases cannot be redeemed with the gift certificate alone, they must be accompanied by the order confirmation. On your first visit, please bring the Order Confirmation (emailed at order completion) to GUEST SERVICES, located at the back of the ticket booth, to have your photo taken and card created. Our busiest time for photos is at 10:00 am when the park opens. 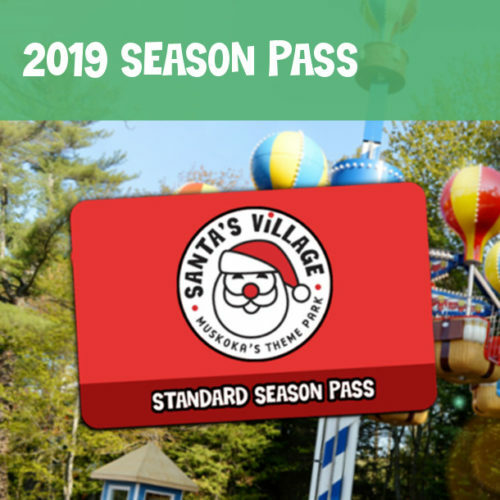 If you are purchasing a 2019 Season Pass as a gift, you will have the option to download a gift certificate that can be given to the recipient. The order confirmation must be included with the gift certificate when you redeem your pass and have you photo card created. Don’t miss another summer of FAMILY FUN at Santa’s Village!